When I first heard about 8k TV I was like, cool! Yay! Then I thought, how can the tech industry keep increasing the amount the amount of pixels if the human eye has a set limit? They can’t. 8K–what does it mean? The k in 8k is 1000. That is the amount of pixels on the width of the TV. Increasing that means either increasing the size of your tv or decreasing the size of each pixel. 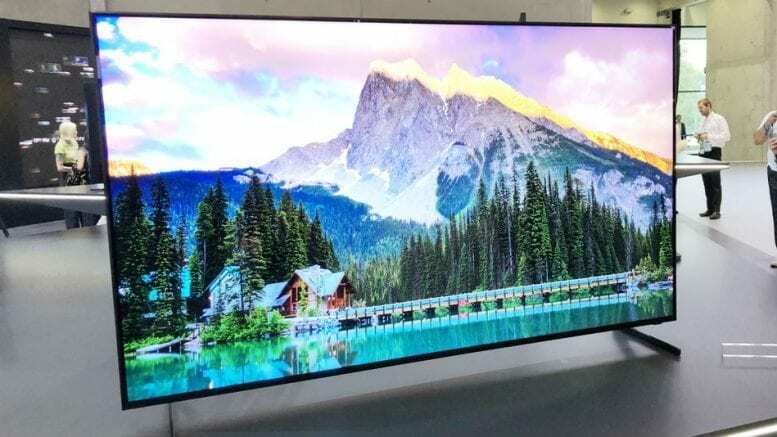 The human eye can’t see that much without moving closer and closer so, 8k TV is a huge scam. It is not worth your money to buy something that has almost no difference unless your screen is enormous or your nose is pressed against it. 4k TV is the max, so spending money on this is just silly. 8k TV actually has no content yet and is still unavailable to the large part of the public. 8k TV manufacturers claim it will be the next big thing, but it’s just another reason to pay them money for basically no improvement. The tech industry has a habit of claiming the smallest improvements as huge leaps forward in evolution. In reality, paying huge amounts of money for small improvements is what the tech industry is all about. The iPhone hardly changes with each new installment, but people will keep shelling out money because each installment has become a status symbol to signify wealth and importance. Apple and other tech companies know this and know they can change nothing and still make a trillion dollars.